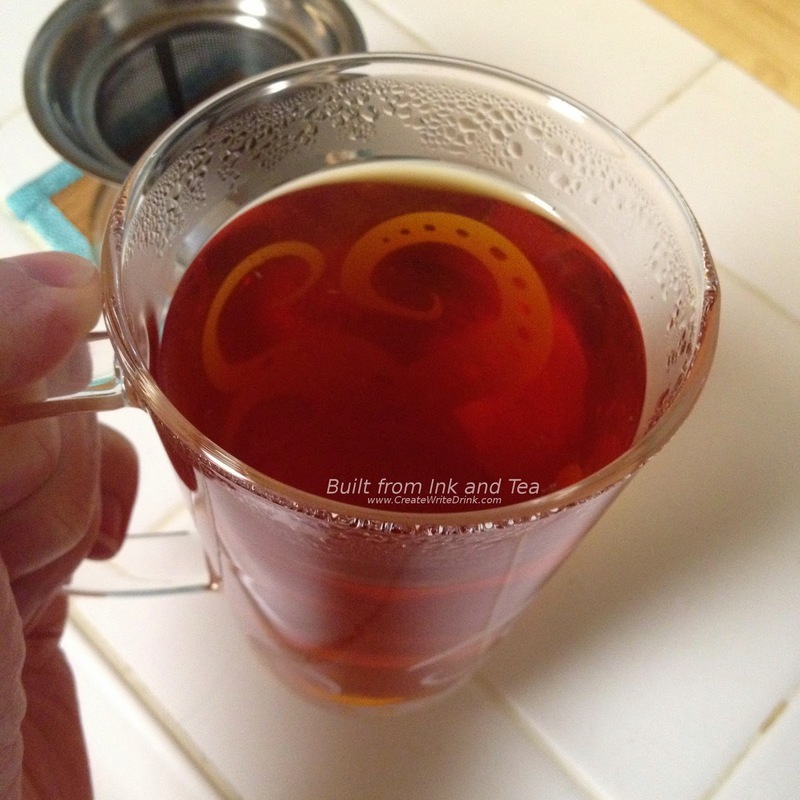 Last week, we tried TeaFrog's Cream Earl Grey. 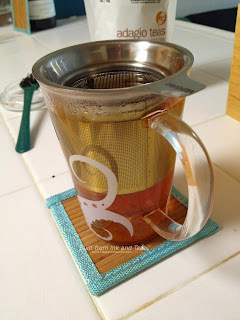 While contemplating this week's tea for review, I thought it might be a bit soon for another very similar review, but my taste buds said otherwise. With that determined, I will go start the water kettle and prepare the cup. Adagio Teas Earl Grey Moonlight represents a delicious blending of creamy vanilla flavors with the traditional black tea and citrus notes of Earl Grey. Personally, I enjoy many variations on Earl Grey, such as Double Bergamot Earl Grey and Lady Grey. 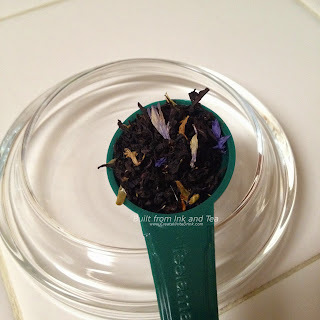 Cream Earl Grey blends especially appeal to me, as they produce such a delectable, smooth cup. Earl Grey Moonlight is no exception. The aromas wafting from the bag contain sharp bergamot notes, each tempered by thick, dark vanilla smells that seem to underline the citrus. 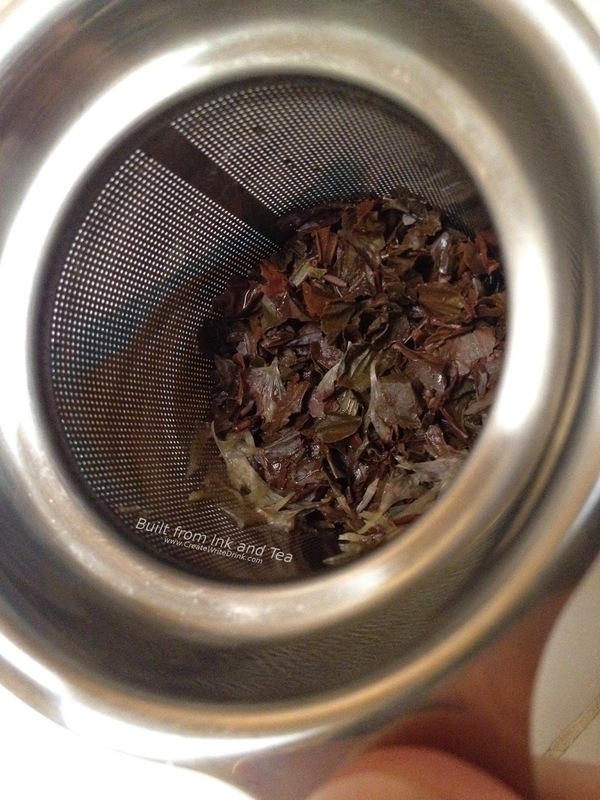 Twelve ounces of just-boiled water, a teaspoon and a half of leaves, and four minutes produce a dark cup, whose aromas mimic a barely-subdued version of the smells from the dry leaves. Yet in the brewed tea, the aromas of vanilla and citrus are much more blended together, merged into a single, pleasant smell. At four minutes, I found the taste to be just right. It held the slightest touch of bitter citrus note, which was not unpleasant. The vanilla makes the entire mouthfeel quite smooth. The three to five minute steep time recommended by Adagio works quite well. Sticking within that range should yield a cup that appeals to your personal strength preference. I imagine that this tea would stand equally well to a bit of milk or sugar in a more traditional English style, too. What I think I most appreciate, as I finish this cup, is how well the flavors work together but how identifiable they are individually, too. On my personal enjoyment scale, I would rate Adagio Teas Earl Grey Moonlight a 97/100. Adagio Teas Earl Grey Midnight is available from their website, here. This review was unsolicited and uncompensated. Text is copyright 2015, Built from Ink and Tea.